Yazmin Vigus is writer, filmmaker and coffee addict who loves anything crafty and creative! Her writing has featured on numerous publications including Elite Daily, Amor Magazine and Huffington Post. She also founded the award nominated collective blog aliljoy.com. We dare you not to fall in love with these crochet patterns! 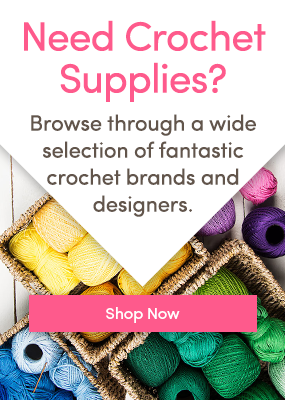 5 Crochet Projects You Can Make for Under $50! 8 Piggy Projects You’ll Love for National Pig Day! 5 Big Cat Patterns to Celebrate World Wildlife Day! Why You Need to Crochet an Octopus! Quiz Time! Bet we can guess who taught you to crochet!